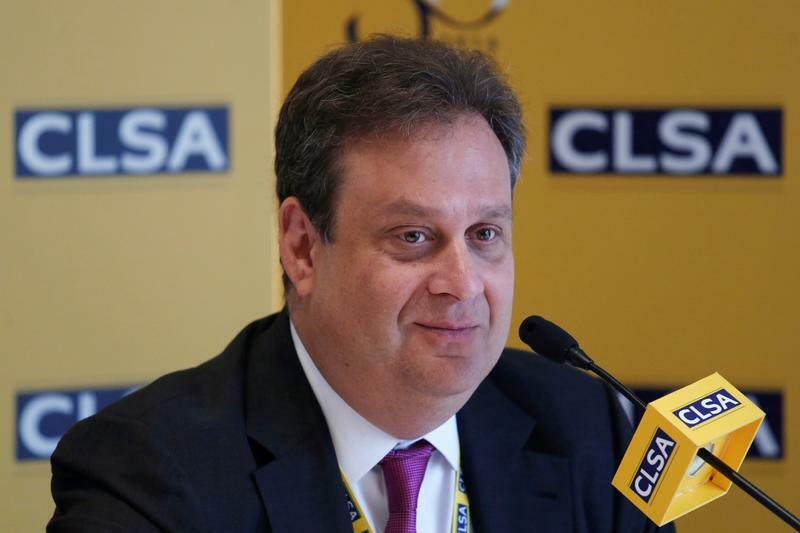 CLSA Chairman and CEO Jonathan Slone meets reporters during CLSA investors conference in Hong Kong, China September 19, 2016. Jonathan Slone plans to resign from his role as chief executive of CLSA, the Hong Kong brokerage owned by China’s state-owned Citic Securities, the Financial Times reported on March 19. Slone’s planned departure follows a similar move by Tang Zhenyi, the brokerage’s chairman. Nigel Beattie, CLSA’s chief operating officer, is also leaving, the FT reported, citing unnamed sources.